Among the perks of being an auction cataloguer is the ability to see great coin collections in situ, just as the collector formed them: complete, in their envelopes, in their natural state of order or disorder. 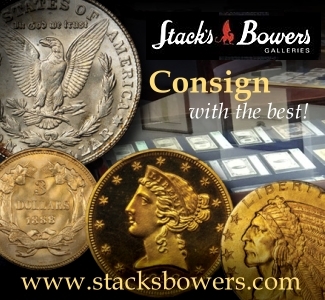 Seeing three great coin collections side by side during my cataloguing efforts for the November 2012 Stack’s Bowers / C4 auction made me ponder their similarities and their differences. 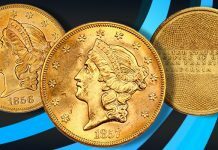 Great coin collections may contain great coins, but their essential nature has far more to do with the collector who assembled them rather than the objects themselves. We could all take a lesson from the highly divergent paths that Jack Royse, Ted Craige, and Rob Retz took on their way to building their connoisseur-quality collections. Jack Royse spent 40 years assembling a colonial type set, buying primarily from Stack’s auctions and to a few well-selected advanced specialist dealers – notably, Harvey and Larry Stack, Anthony Terranova, and Richard Picker. His collection numbered just over 100 coins. 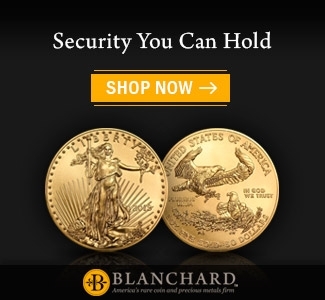 Ted Craige’s buying spanned the 1960s, during which time he gathered thousands of coins from all manner of sources, including auctions, major dealers, small dealers, fellow collectors, and overseas connections. 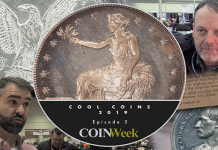 Rob Retz actively chased Fugio cents for about 15 years, finding a little over 60 coins from such disparate sources as eBay, private collectors, and major name auctions. Each of these collections is undeniably great, though the collections themselves have very little in common. So, too, the collectors have little in common. Mr. Royse assembled his collection quietly. Craige was a force during his era, a man known to every collector and dealer of colonial material, a friend and foil to John Ford. 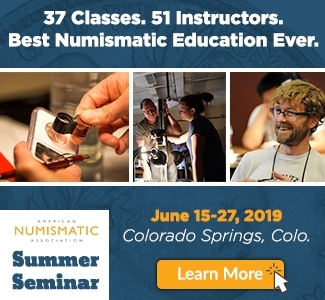 Rob Retz was the only one I knew personally, a wildly funny, irascible student of numismatics who liked his friends even more than he liked his coins. Clearly the collectors and their collections are a study in contrasts. In examining these cabinets though, I identified five aspects that could make a collection great. None of these have all five (though some collections have – we will identify those later). All of them have at least a few. Depth is more than just having duplicates. Depth is about defining your collection has something more than just one of everything. If you’re a type collector, adding varieties adds depth. If you’re a variety collector, adding die states does the same thing. 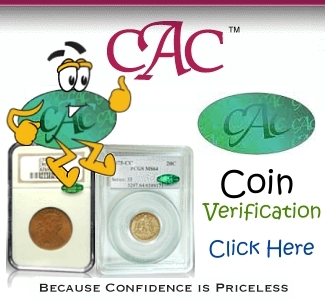 If you do varieties and die states, depth may come in the form of striking errors, planchet variants, variants in color or grade, or oddballs like counterstamps and love tokens. Depth can manifest in a lot of different ways. For Mr. Royse, who was primarily a type collector, having three very different die states of the Hercules Head Connecticut copper shows depth. For Mr. Craige, depth defines his cabinet, which contains more 1721-22 French Colonies coppers than any single collection I’ve ever encountered. He chased every major colonial series by die variety, but also kept odd die states, misstrikes, and coins in a wide variety of grades. 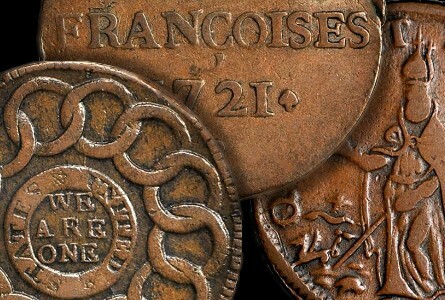 For Mr. Retz, whose goal was to acquire as many varieties of Fugio coppers as he could, finding rare and distinctive die states, rotational differences (i.e., coin turn vs. medal turn), planchet and striking errors, and more added depth to what otherwise was akin to a hole-filling process. For those who are in the process of assembling a collection, ponder your goal – and then go a step beyond it. Having a collection with depth requires recognizing something that is scarce and different when you see it. This is perhaps the most obvious aspect that makes a great collection. Quality isn’t defined by high average grade, but is the hallmark of a well refined eye. 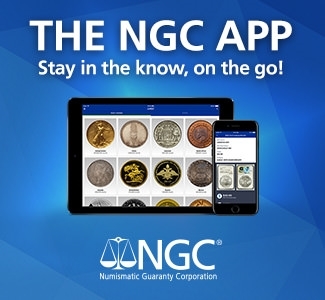 Patiently seeking out nice coins at all grade levels requires much more effort than stepping up to buy every high grade specimen on the market. 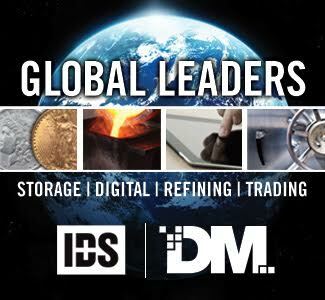 Within the copper specialties, color and surface matter as much or more than sharpness. Of course, building a collection full of condition census examples is nice, but having the knowledge to recognize a piece of such quality when it’s encountered in the wild is a different matter. 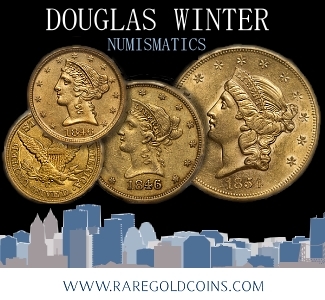 So having a collection strong in the quality aspect is about a lot more than being able to afford quality, it requires both connoisseurship and the confidence to act upon the opportunity to buy a quality coin when offered. 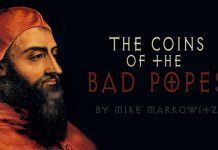 The Craige collection, through all its sometimes mind-numbing depth, focused heavily on quality coins – among the 89 Saint Patrick’s coppers (! ), only a few aren’t nice. 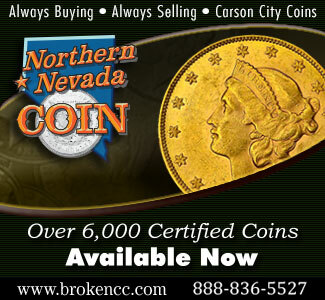 The Royce collection is made up of almost exclusively high quality coins. Those that aren’t high quality – his NE sixpence, his Confederatio copper – are so rare that quality is a secondary consideration. Sometimes having quality coins is about recognizing what can’t be upgraded, and not missing a unique opportunity in the foolish hopes of finding something better. 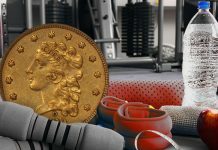 Rob Retz’s Fugios are nearly uniformly high quality, with coins showing superb color and surface the norm, even when worn. 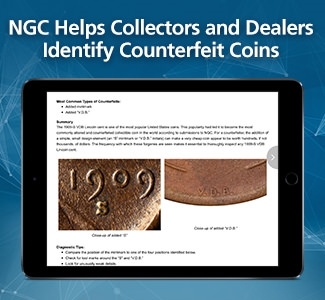 Many of his coins, particularly rarities, are of Condition Census quality. Given the fact that nearly all collectors have limited resources, this is probably the most difficult way to make a collection great – to simply have everything. It is not unusual for a colonial collector to have collections of several different series by die variety, but typically one collection will be a favorite and others will be somewhat undernourished. The Tanenbaum Collection of colonials, for instance, had great Connecticuts but only so-so New Jerseys. The Scherff Collection offered variety sets of just about every colonial series and plenty of rare type coins too, but in order to be so expansive, quality needed to be sacrificed. 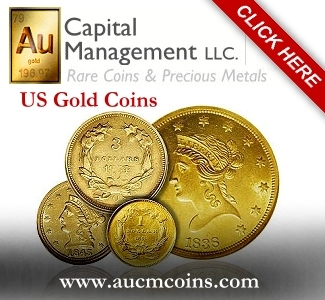 Most collectors would rather have one box of nice coins than 10 boxes of ugly coins. The collections that can pull off a goal of expansiveness without making real concessions in quality are great indeed. 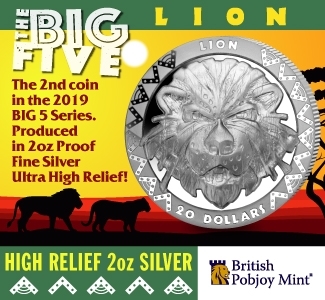 Of the three great collections in the November StacksBowers sale, only Craige’s fits this descriptor – which is precisely why only Part I is included in the auction. Future offerings will include New Jerseys, Connecticuts, Washington pieces, Rosa Americana and Wood’s coppers, and more. Completeness is a moving target, and it depends entirely upon how a collector chooses to define the collection. It may be more instructive to call this not-missing-anything-ness. If a specialist can look at your collection and think “why isn’t there a ___?,” then your collection isn’t complete. 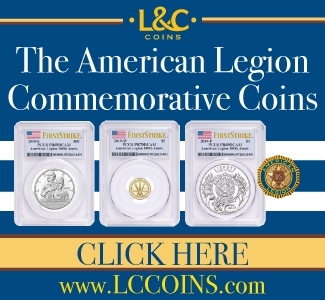 Of course, if you’re pursuing Fugios, no one will blame you for not owning one of the unique ones – but if you’re lucky enough to buy a unique coin, that is surely a step towards greatness. 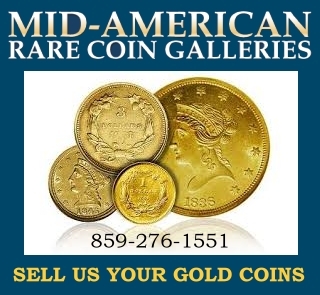 Collections that include notable rarities and aren’t missing anything relatively easy to acquire get credit here. While there are Fugio varieties that came on the market during Retz’s collecting area that he was not able to include, there are other significant rarities that he was able to root out, cherrypick, or find ways to acquire. The Royse collection, even with just 100 coins, gets kudos for completeness. Even if no NE shilling is present, there is an NE sixpence to represent the type – and the sixpence is even rarer than the shilling. While not every major type is present, there enough “impossible” rarities in the collection to overwhelm the gaps. Since completeness is a by-product of how a collection is defined, why try to build a collection that you know your pocketbook or patience threshold will never let you complete? Instead, creatively set your own parameters such that you can not only complete a collection, but continue to build it even after such goals are met. Very few collections are truly pioneering, but a pioneering collection of almost anything can be great as long as others follow the lead. When Ted Craige assembled more than 40 examples of the French Colonies nine deniers issue of 1721-22, no one cared. 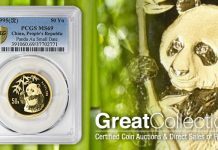 Some collectors had included one or two pieces as type coins, but no one cared about the die varieties, the weights, the planchet stock, or the relative rarity of dates and mintmarks. They were so obscure that even John Ford, whose acquisition of the Boyd holdings meant that he had remarkable collections of every colonial specialty, didn’t keep those he encountered – he sold his to Craige, rather than upgrading the poor quality pieces he had. Today, there are only a few more people that care, but Craige’s interest and foresight makes his collection a truly pioneering effort. 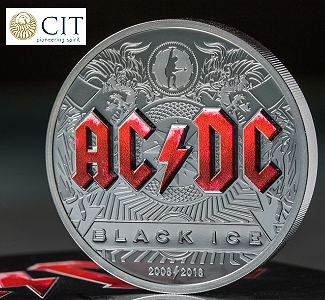 When people think of Saint Patrick farthing and halfpence varieties, they think of John Griffee, who was the first to go about collecting the pieces by die variety – except for Ted Craige, who had assembled dozens of pieces by die variety decades earlier. While the Royse and Retz collections are both great for their own reasons, neither is pioneering. 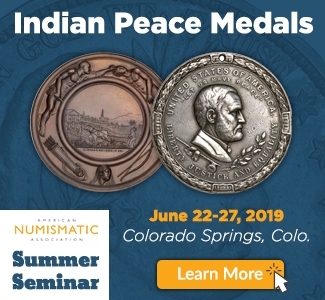 However, another collection in the November sale may someday be seen as great because of its pioneering nature: the Wnuck Collection of circulating counterfeit Spanish colonial coins. 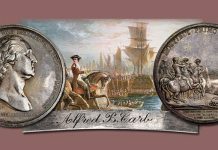 Very few people collect or study these pieces, but the Wnuck cabinet of counterfeit two reales marks only the third major auction offering of these interesting early American-related items. Other denominations have been even less studied. To be a pioneer is difficult, because it means you need to not only collect something that few people care about, but be organized and scholarly in the process. Bonus points for writing a book! It’s hard to think of a collection of any specialty, past or present, which most collectors would describe as “great” that doesn’t meet three or more of these parameters. Fewer still meet all five. The Garrett Collection, for instance, was clearly a great collection. Could we describe it as pioneering? Is it deep, or merely expansive? No one would argue its greatness, but I would argue it was neither pioneering nor deep; it clearly rates high in quality, expansiveness, and completeness though. The Ford Collection was clearly great, as was the Boyd Collection from which it was built. Both fit all five aspects discussed above, though fields where Ford was a pioneer (Western material, Betts medals, etc) were different from area that Boyd pioneered. Boyd’s greatness came in large part from his acquisition of the Ryder Collection, itself a great collection. So we the easiest way to build a great collection: buy someone else’s great collection. The obviously great Eliasberg collection was built via the acquisition of the also-great Clapp collection. 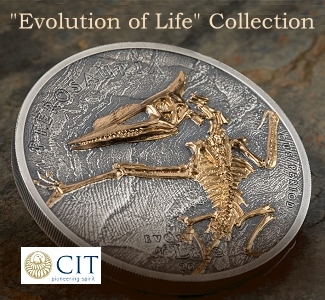 Clapp’s collection was pioneering, with early acquisitions of high grade branch mint coins and superb Latin American. Eliasberg’s collection was great, but perhaps not pioneering. The ultimate 20th century cabinets by these definitions of greatness must be the Norweb and Pittman collections. Mrs. Norweb’s interest in early American die varieties was pioneering – she acquired varieties of many colonial series even before the main reference work on the series was written. Her relationship with Richard Picker (who also served as a primary source for Mr. Royse and Mr. Craige) had a lot to do with this. 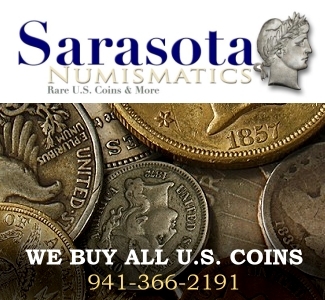 So we see another way to build a great collection: have a great coin dealer. John Pittman’s collection was clearly expansive, with great American, Canadian, and world coins. His interests in American proofs and modern Canadian rarities were both pioneering, and his cabinet was great despite being built with relatively modern means. There are great collections in every field. Many aren’t famous, and a lot aren’t even all that valuable. The difference between building a great collection and one that will be forgotten in time has a lot to do with connoisseurship, vision, and taste. Anyone can build a great collection, though it is admittedly easier to do when wealthy. 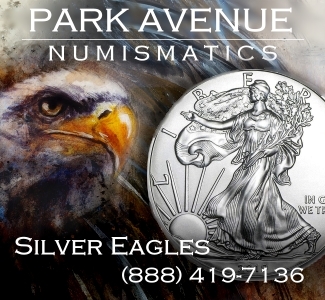 However, there are so many byways of numismatics that creativity is more of a limiting factor than wealth. 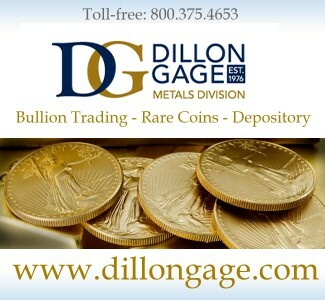 So be a pioneer, develop an eye for quality and the patience for finding rarities, and go build the next great coin collection. It may be easier than you think. Good article. My Grandfather started me collecting about 55 yrs. ago & this is helping to rekindle my deire. Have no coins left & had quite a few top quality complete sets but ran in to financial troble & had to piece them out. Mad me sick to my stomach everytime I had to sell & do mean I had a number of quality complete sets or nearly complete. And I’ve made evry mistake listed hear. Of course when I was forced to sell, it took about another year & 1/2 before coins just took off. Still get daily info. on comp. & still get sick to my stomsch. There woould be no way to rebuild what I had plus the cost would be simply outrageous.,You have to be a pretty rich man to replace what I had to sell plus would be impossible to replace them all. P.S. Blowing off some steam I suppose & the truth is, it’s the beuty & work collesting them that’s more important than the vLUE OF THE COINS. i ENJOY LOOKING AT AN INEXPENSIVE COIN IN TOP GRADE NEARLY AS MUCH AS AN EXPENSIVE ONE IN A GOOD GRADE.